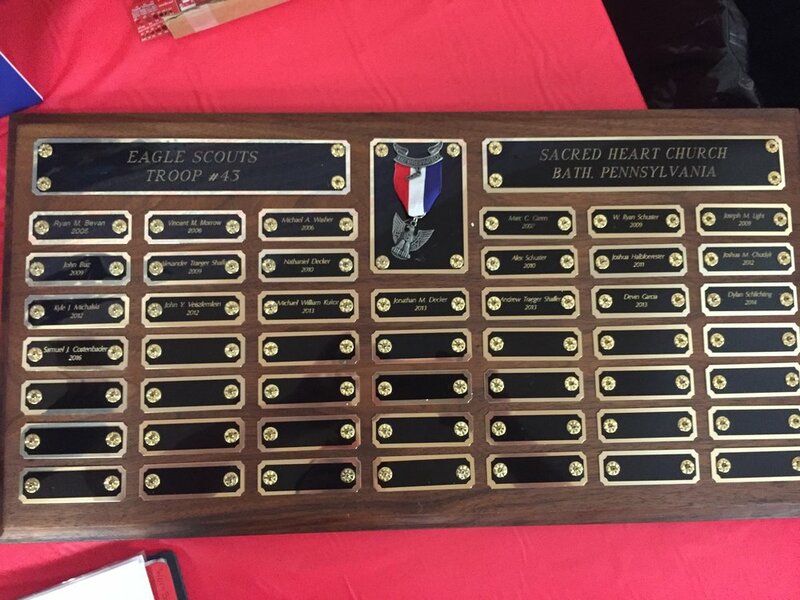 Detachment 296 members were requested to be present for the Eagle Scout Court of Honor Ceremony for Samuel Costenbader. It was an honor that we simply could not turn down. 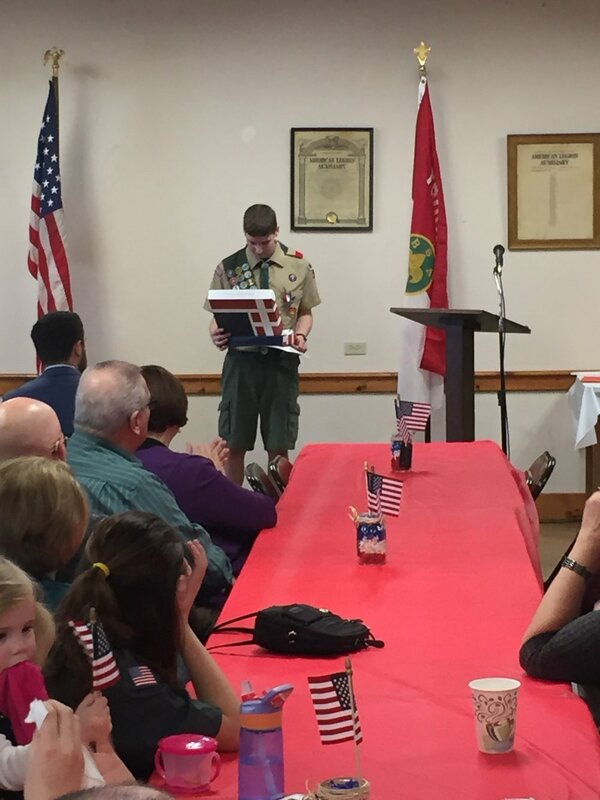 It was an intimate ceremony that included speeches from family members and past Eagle Scouts. 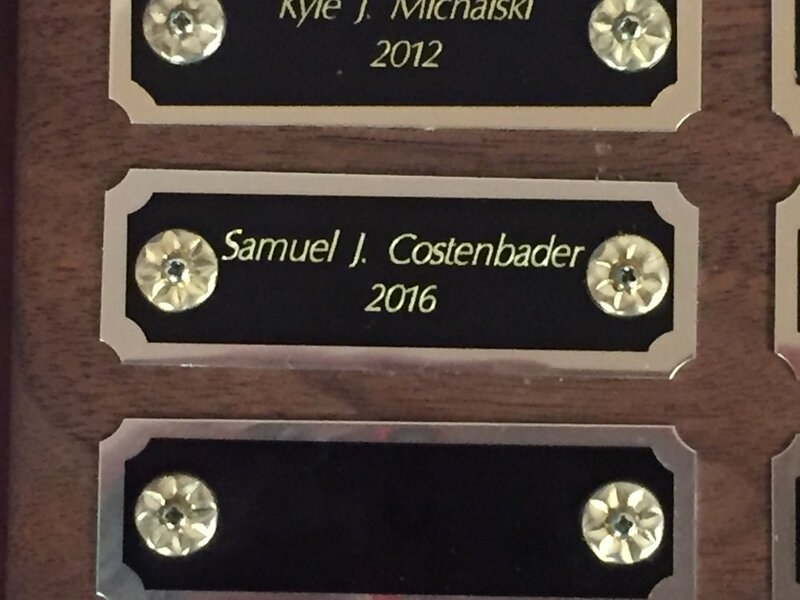 It was great to hear everything this young man has done to achieve this honor. 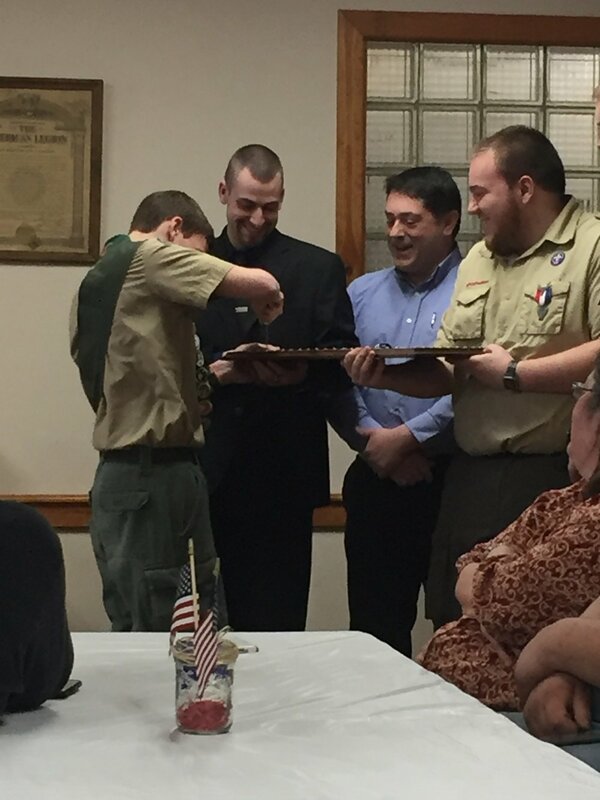 After he received his Eagle Scout Badge the ceremony was turned over to the special guest in attendance including ourselves and PA State Representative, each of which gave a short speech and presented Samuel with gifts to commemorate his hard work and sacrifice. 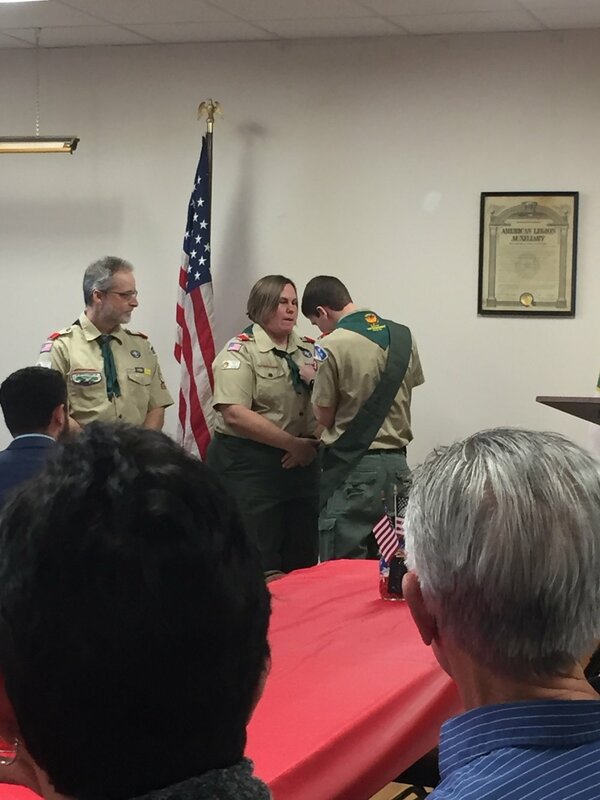 We presented Samuel with a certificate through the Marine Corps, an American Flag in honor of him preforming his patriotic duty, and a detachment challenge coin.